I know what you’re thinking. The Flying Pig? You must have lots of pork on the menu, right? Nothing could be further from the truth. To be honest, our menu breakdown has a wide range of items and, yes, a small portion can be pork. 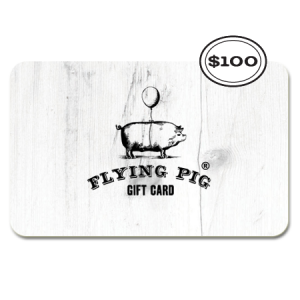 The Flying Pig represents our desire for you to see the impossible happen every time you visit us.